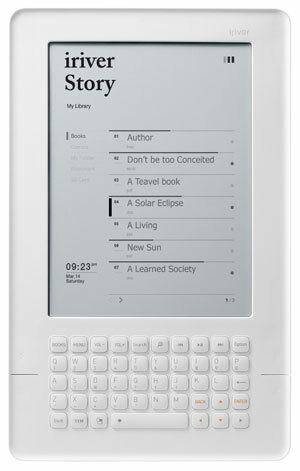 The iRiver Story is the latest entrant into the Ebook Reader market, and its iRiver’s first ebook reader. I must admit I was weary when I first heard bout the iRiver Story, as from afar it could be mistaken for a rebadged Amazon Kindle clone. But I’m pleased to say that iRiver have done a good job designing this ebook reader, and they have invested quite a bit in the packaging and marketing material for their ebook reader. This is no Amazon Kindle though, the build quality although ok and it doesn’t have the solid feel of a Kindle. But the device doesn’t feel cheap, its quite attractive and the keyboard actually works quite well. The screen is your typical Vizplex E-Ink screen, featuring 8 levels of greyscale (same as the Sony Touch & Pocket / Bebook) with a resolution of 800×600. The Kindle features a better 16 greyscale screen, but both offer a really good reading experience. 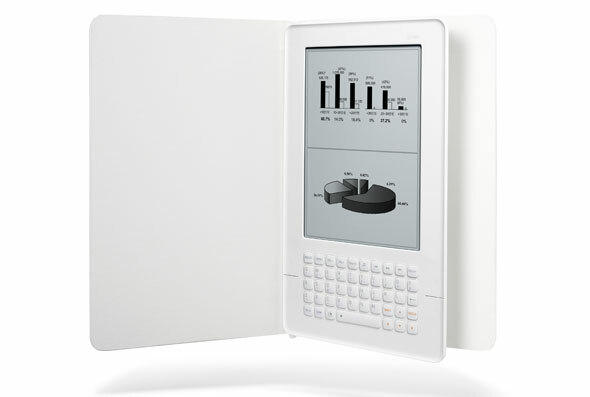 The user interface is intuitive, you can use the keypad to navigate through the menus and there are side buttons available so that you can use the book in one hand for both left and right handed users. Unlike the Amazon Kindle which limits the ebook formats to their own amazon.com and pdf ebook formats, the iRiver Story is compatible with a wide range of ebook formats including: EPUB, PDF & TXT cover the main formats for commercial ebooks, while the Story also displays office files like DOC, PPT & XLS. For comics & graphic novels, JPEG, BMP and GIF image. This makes this ideal for reading business documents on the road without having to carry a laptop. Page turns are snappy (for ebook reader standards) and you’ll find the ebook reader comfortable to read all sorts of books on your journeys. The device comes with a generous 2GB of internal storage, enough to store hundreds of books, and it can be expanded with an external SD card. At £229 the iRiver ebook reader is on par with most 6″ ebook readers in the UK, but is more expensive than the Amazon Kindle. In all the iRiver is a good device, especially if you are interested in being able to upload any ebook format, or your own documents which is not currently possible on the Kindle.